Short selling is based on the idea that you can bet against the market. When markets go south, it can be a highly lucrative strategy but selling stocks short is risky, and often costly. Before deciding to bet against a stock, consider the commissions costs to transact, margin rates to borrow, and what tools you need to analyze stocks. Below we compare the best brokers for short selling to help you get trading sooner. When it comes to short selling, you’ll want a broker who “gets it”, because when you sell a stock short, you borrow it and then sell it in the hopes or repurchasing it at a lower price. For short sellers who have an eye on risk, tastyworks is a smart choice because you can pair short sales with call purchases to limit risk. Few brokers understand margin and options like tastyworks. It costs nothing to close stock and options trades, and it only costs $1 per contract to open options positions. The idea behind zero closing commissions costs is likely to attract options sellers, who don’t need to fork over a dime in commissions to place trades. If you plan to combine short stock with the sale of put options to lower risk, tastyworks is your best bet. There is a $5 flat fee for stock transactions as well as a $2.50 fee per contract for futures. Compared to other top options brokers, these rates are competitive, and in some instances, commissions are capped per leg. tastyworks provides over 100 indicators and 20 different drawing tools. You can open one chart at a time and add or remove indicators and drawings to help you visualize trade opportunities. It’s a cinch to customize platform setups so you can view individual stock prices and market performance simultaneously. Advanced tools, charts and analyzers are at your disposal to better understand how profitable your trade will be as prices change. For example, the Curve helps options traders figure out when positions will show losses and gains. tastyworks provides a virtual trading platform, so you can practice investing methods without assuming the real risks of the market. You can also backtest strategies to try out various scenarios, and experiment with shorting if you’re new to it. No minimum amount is required to open up a cash account however a deposit of $2,000 is needed to open a margin account. Margin accounts are a must if you plan to short sell stocks. If you plan to trade futures or sell uncovered calls this account level is required too. Stocks, options, and futures are all available to trade, however mutual fund investors will need to look elsewhere. The structure of mutual funds conflicts with the philosophy of tastyworks founders, which aims to empower individual traders to make their own investing decisions rather than to pay fees to portfolio managers who often perform worse than major market averages. thinkorswim is a trading platform owned by TD Ameritrade. It is designed for options traders in particular and a good fit for active traders who need powerful screening tools to help make short sale decisions. If you’re a penny stock trader, you won’t be disappointed either by the selection of securities available to trade. For stocks, commissions are $6.95. For options, they’re also $6.95, and an extra $0.75 per contract is tacked on. Futures are traded for $2.25 per contract, and forex trades cost for $0.10 per thousand units. For no-load mutual funds, a charge of $49.99 is assessed when buying and selling. Make no bones about it, the thinkorswim platform is advanced and intricate. Charts featuring hundreds of technical studies are available. And thinkScript, an embedded programming language, even allows users to manipulate charts beyond the extensive list of pre-built indicators. Covered call traders can use Strategy Roller to automatically roll forward certain call options and use various screening and scanning tools to sort through vast amounts of data. Many of the tools are customizable, so you can use them to plan out your next short sales. >> Is thinkorswim The Best Online Options Trading Platform? As an individual, you can sign up for a personal margin account. You can also open up a joint account with someone else. Margin accounts include rights of survivorship and tenants in common. Corporate accounts are also available to corporations, partnerships, and LLCs. No minimum amount is required to open an account at thinkorswim but you will need at least $2,000 to open a margin account to start short selling. Day traders are required to have a minimum equity of $25,000. Ally Invest has a user-friendly interface and low commissions, making it ideal for beginners and casual traders. For most transactions related to stocks and ETFs, you’ll have to pay $4.95 per trade, and it should be noted that some ETFs are commission-free. If you’re an active investor who makes more than 30 trades per quarter or you keep more than $100,000 in your account, that rate drops to $3.95. Options trading contracts are priced at $4.95 plus $0.65 per contract. Some mutual funds are commission-free, and others come with a $9.95 commission. It’s notable that Ally Invest has no account or inactivity fees. Unlike some other platforms, you don’t need to download the Ally trading platform to your desktop because a browser-based platform is used to provide real-time data, charts, and tools. If you choose to use a mobile device, you can download an app to place trades remotely. Tools include an options pricing calculator, probability calculator, and the Maxit Tax Manager. Ally offers self-directed accounts, which can include individual, joint, custodial, IRA (many types), and Coverdell accounts. If you prefer portfolio guidance, an Ally Invest managed portfolio is available. This is also available through individual, joint, and IRA accounts. Businesses can open up LLCs, partnerships, sole proprietorships, and trust accounts. Interactive Brokers customers range from active, individual investors to fund managers and industry professionals. As a professional-grade trading platform, it is more geared toward advanced investors. Short sellers who want to capitalize on stock plunges will not be disappointed by its capabilities, not least its highly competitive margin rates. Interactive Brokers is famous for its rock bottom fees. For example, commissions on stocks and ETFs trades are $0.005 per share. In most situations, a $1 minimum trade commission applies, and it maxes out at 0.5% of the total trade value. The pricing can be fixed or tiered, depending on your preferences and trading volume. Fixed pricing includes fixed-rate commissions (or a percentage of trade value), and some volume discounts, rebates, and paybacks are on offer too if you choose the tiered pricing system. Commissions on options trading are between $0.25 and $0.70 per contract. Investors have around 4,300 no-transaction-fee mutual funds to choose from. There are other fee structures for treasuries and other types of securities. Pricing ranges as low as 0.005% per trade and is aimed at high-volume traders. Expect to pay a $7.50 quarterly fee if you have an IRA and a $10 monthly fee for inactivity in accounts with less than $100,000 or those with less than $10 in trading fees. Beginners may not find Interactive Brokers to be a good fit because the learning curve is quite steep to become familiar with the platform. You must navigate various menus to access information but once you’ve learned the system, you can conduct in-depth analysis. Interactive tools on the Trader Workstation platform include look-back periods and industrial strength indicators. And because the firm has global reach, you can choose the base currency that you prefer. Other types include a Friends and Family Group Account, which is open to an advisor with 15 or fewer clients, and a Family Office account. More account options are available for advisors, money managers, and other professionals in the industry. A minimum deposit of $10,000 is required to open most accounts. For IRAs, the investment minimum is $5,000. Clients aged 25 years or younger must meet a lower minimum of $3,000. 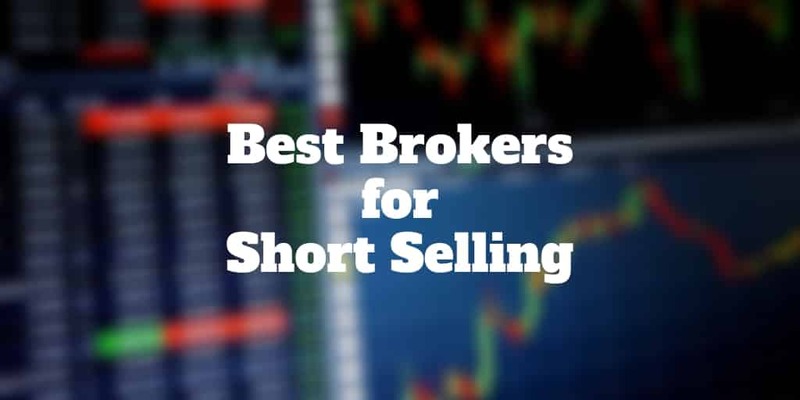 To pick the best broker for short selling to meet your needs, consider key factors like commissions rates, margin interest, and account types. 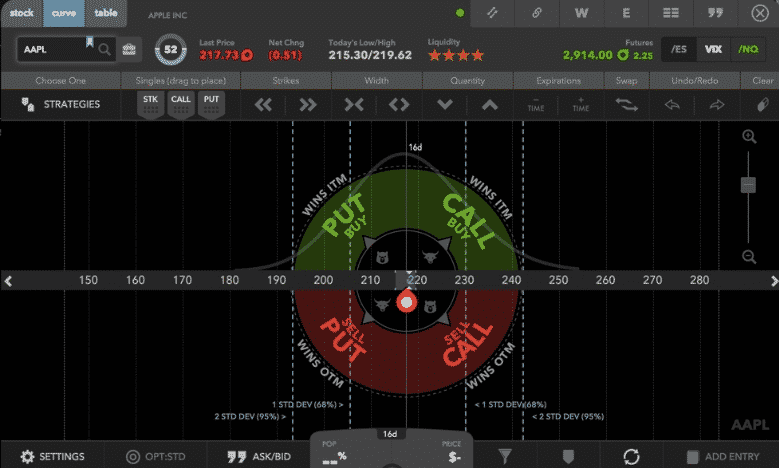 If you plan to short sell stocks and buy call options to limit risk, thinkorswim or tastyworks will probably be your best bet because both platforms were originally built for options traders. Interactive Brokers has arguably the best margin rates and lowest commissions, especially for active traders, but it’s not the best first stop for beginners. Ally Invest is a good fit for beginners but lacks the advanced tool suite and capabilities of Interactive Brokers and thinkorswim. Above all, pay attention to the risks of short selling, especially when no stop limits or options are used to keep risk levels in check. ‹ Is Airbnb Worth It For Hosts?